Born 8 April 1944, Scotland. 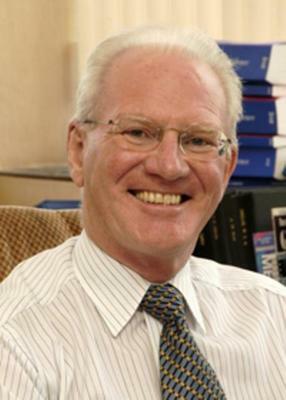 James Shepherd (1944-) was Professor and Head of the Department of Vascular Biochemistry from 1988 to 2009 and is now Honorary Professor in the Division of Cardiovascular and Medical Sciences. Prior to this he was a Lecturer from 1969 to 1972 and a Senior Lecturer from 1972 to 1988. His work with the West of Scotland Coronoary Prevention Study (WOSCOPS) research team led to the introduction of life-saving statins which are used around the world to prevent heart attacks. Born in 1944 he attended Hamilton Academy before entering Glasgow University to study Medicine. He graduated BSc in 1965, MB ChB with Honours in 1968 and PhD in 1972. After being appointed as Professor of Vascular Biochemistry in 1987 he became principal investigator of the West of Scotland Coronary Prevention Study (WOSCOPS). Along with colleagues Professor Cobbe, Ford, Isles, Lorimer, Macfarlane, McKillop and Packard, he was interested in the mechanisms which regulate the levels of fat in the blood. They discovered that statins reduced the risk of first heart attack, where previous studies had demonstrated the benefits of their use in patients who had already experienced an attack. The drugs are now in very wide use and have shown impressive benefits.